It is craft show season again and today I am showing some ideas for displaying your crafts. Most of the time you only have a small space to display your wares and these may help expand your space. 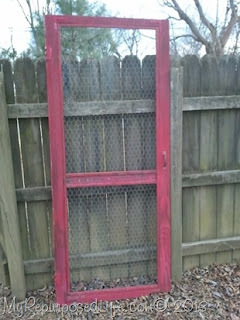 The screen on this vintage door has been replaced with chain link fencing wire. 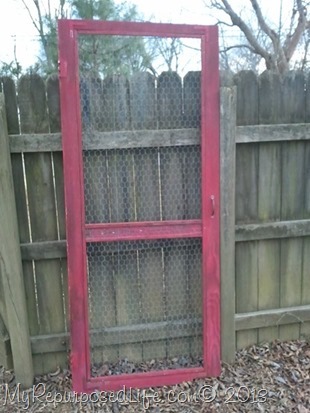 You could hang a lot of items on this. 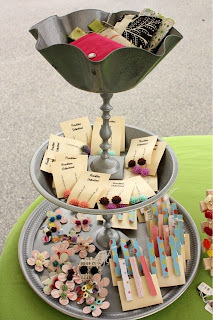 You can find the details on My Repurposed Life blog. This three tiered tray is from Freckles Crafts blog. It is made from three found tin trays and candlesticks glued together. I am not sure where this photo originated from. 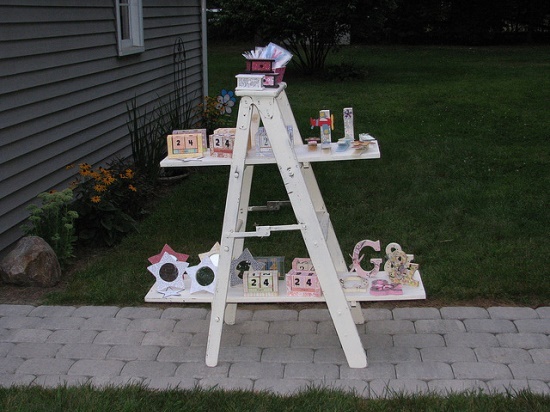 This is a small ladder with some shelves added to it to give you more display area.